Drain Cleaner Poisoning is the accidental or intentional intake of any product containing the compound. What is Drain Cleaner Poisoning? What are the Causes of Drain Cleaner Poisoning? What are the Signs and Symptoms of Drain Cleaner Poisoning? The signs and symptoms of Drain Cleaner Poisoning can vary from one individual to another. It may be mild in some and severe in others. Several systems of the body may be affected. How is First Aid administered for Drain Cleaner Poisoning? Who should administer First Aid for Drain Cleaner Poisoning? 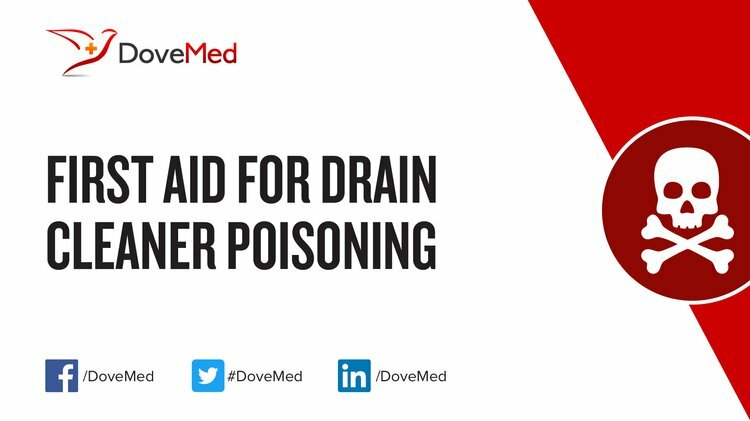 First aid for Drain Cleaner Poisoning is administered by healthcare professionals. What is the Prognosis of Drain Cleaner Poisoning? How can Drain Cleaner Poisoning be Prevented? Mowry, J. B., Spyker, D. A., Brooks, D. E., McMillan, N., & Schauben, J. L. (2015). 2014 annual report of the american association of poison control centers’ national poison data system (NPDS): 32nd annual report. Clinical toxicology, 53(10), 962-1147. Bøgevig, S., Høgberg, L. C., Dalhoff, K. P., & Mortensen, O. S. (2011). Status and trends in poisonings in Denmark 2007-2009. Dan Med Bull, 58(5), 1-5. Kaiser, S. (2010). U.S. Patent Application No. 12/960,752. Kearns, R. D., Cairns, C. B., Holmes, J. H., Rich, P. B., & Cairns, B. A. (2014). Chemical burn care: a review of best practices. EMS world, 43(3), 40-5.